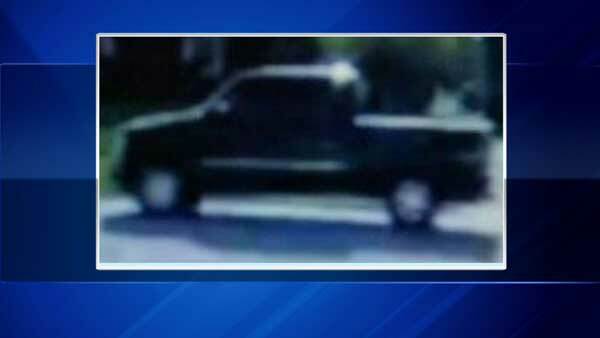 SCHAUMBURG, Ill. (WLS) -- Schaumburg police released a surveillance photo of a vehicle that may be connected to an alleged child luring attempt at a northwest suburban park. Two elementary school children were walking near Jaycee Park, located in the 900-block of Cornell Lane, around 5:45 p.m. Tuesday. Police said a man in a black pickup truck pulled up to the pair and offered them a ride. The children ran home and the man drove away. The suspect is described as a Caucasian man in his 30s. He was wearing a bright orange cap. A private surveillance camera captured video of a truck matching the vehicle description around the time of the incident. Schaumburg police said anyone with information on the vehicle in the photo or the driver should contact the Investigations Division at (847) 882-3534.